Mrs. George Place of Colton won first place in the Green Thumb contest at the Estacada Office of the First State Bank of Oregon. The theme of her entry was "school days," and she incorporated a pink rose, an apple, a textbook and pen and pencils in her design. School leaders would soon discuss whether or not corporal punishment should be used in Estacada schools. The superintendent's committee had drafted a proposed policy that would soon be considered. "During the first reading of the policy it appeared that there is considerable disagreement about paddling youngsters in school," The News reported. "Superintendent Ron McIntire opposes the policy. He says the courts haven't prohibited corporal punishment but they've also said there aren't any assurances that a district couldn't be sued by distraught parents and students." 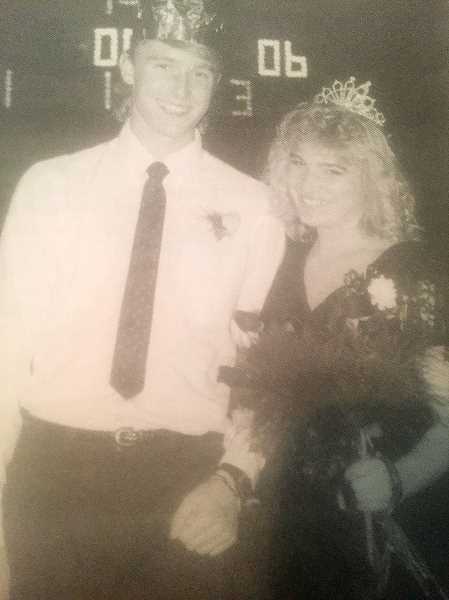 Estacada High School Senior Missy Jones was crowned homecoming queen. She was escorted by senior Joe Baumgarte. During the homecoming football game, "the Rangers played a strong and consistent game and bounced back from a halftime deficit of six points to defeat the visiting Astoria High School Fishermen." Several college freshmen from the area had pledged to sororities at Oregon State University. David Nelson pledged to Sigma Chi, Terry Grimes pledged to Alpha Gamma Rho, Lisa Smith pledged to Alpha Phi and Margaret Arnett pledged to Alpha Xi Delta. An alleged squirrel had made its home in the Estacada School District Central office. "According to inside sources, a small animal had been inhabiting the central office for an unknown period of time," The News reported. "Last Friday, maintenance crews responding to complaints did their best to trap the creature not yet seen by human eyes." Items in Around Town 10 years ago included an aerobics class, a meeting of the medieval society and a family fun night in Eagle Creek. The ninth annual House of Terror on Hayden Road was gearing up for another night of scary fun featuring the Estacada Chainsaw Massacre. The house would stay open "until all the ghouls go home." Just in time for Halloween, a pair of siblings recalled life in a haunted house in the Springwater area. One sibling told of an incident where he had been reading the Bible in bed. He closed his eyes momentarily and heard a voice say, "Give me the Bible." He refused, since he was reading it. The voice then shouted, "If you don't give me that Bible I'll pull the hair from your arm."